Hey, what happened to my pumpkin!? What would you do if this happened to your pumpkin!? 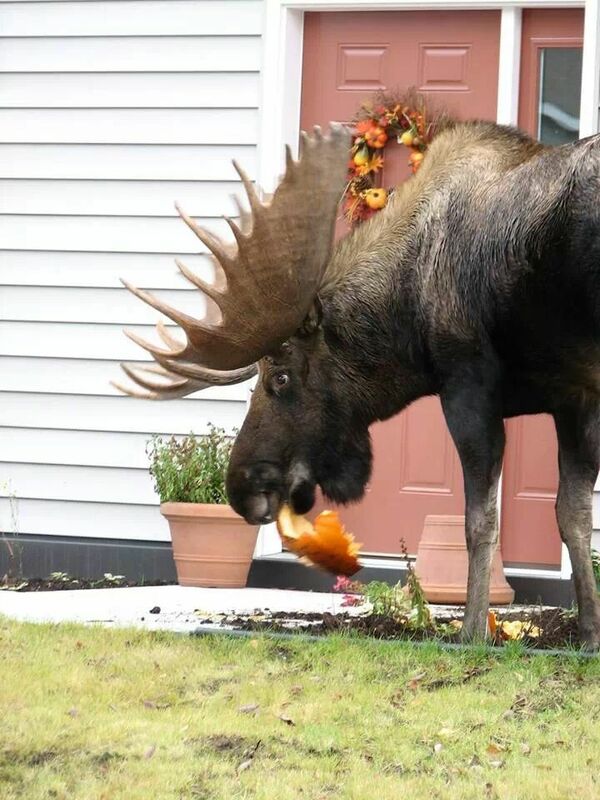 A family from Ontario was in for a surprise when they pulled up at their home to discover a moose eating their pumpkin. Turns out the big orange gourds are not just for pies. He’s a pretty big guy, I think they better just let him finish. Looks like he was looking for more snacks in the flower pot as well! Funniest goat in the world!